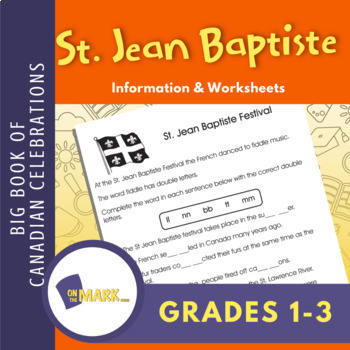 La fete de la Saint-Jean-Baptiste or Fete National is held in Quebec on June 24. It began as a religious festival with various traditions but is now a national one. It is celebrated in communities across Canada. Use the teacher information, teaching ideas and the reproducible activity to familiarize your students with this festival.